I’ve been blessed/cursed with autoimmune issues most of my life. In my early and mid-20’s I faced death more than once and spent a great deal of time asking myself some intense end-of-life questions. One piece of wisdom I’ve carried with me since these near-death experiences is that the things that truly matter are very basic – authentic personal expression, fostering meaningful connections, adopting a personal growth mindset, finding ways to feel joy, aligning with your true path, giving back as much or more than you take, and maintaining a minimalistic lifestyle where your needs are all met but you’re not bogged down by any unnecessary crap. Gratitude and a strong focus on health (mental and physical) are also key. I thrive now in large part due to my minimalist diet – essentially a gluten-free, dairy-free mostly vegetarian regimen. 30 minutes of meditation each morning is essential. Tough but awesome daily workouts are also crucial. 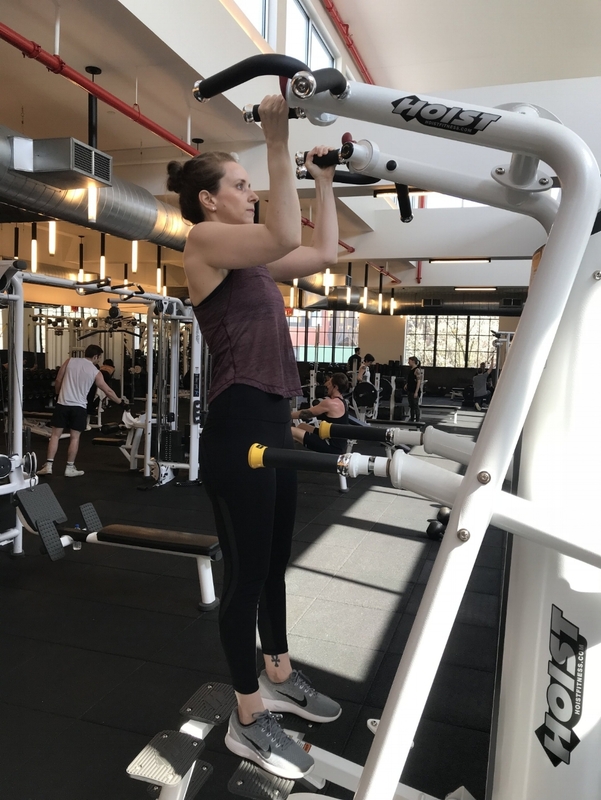 Hot yoga 4x per week for detox, 40 minutes of daily cardio, and a once-per-week session with my personal trainer at Equinox Williamsburg here in Brooklyn, NY – who pushes me to my absolute limits – keep me in tip top condition. A strong body is a clear channel for creative energy, and I’m getting inspired again to start designing scarves for the upcoming winter of 2018. Stay tuned. Sending <3 to all of you. Depriving ourselves of sensory pleasures throughout the day can leave us anxious and likely to overindulge in unhealthy compulsions later on. Minimalist living is an ideal framework from which to practice non-attachment to material possessions. This is why the items we choose to surround ourselves with should be of extremely high quality and value to us, and serve to nourish the body, mind and spirit. Love, healing, security, and spiritual growth are fueled by courageously doing the inner work to evolve and synchronize with our highest selves. In the material world, we can showcase that confidence, abundance, and care for ourselves and for humanity by rejecting clutter and consciously decorating ourselves and our surroundings with magical, high-vibrational items. Over the Christmas season, I worked with my dear friend Donald Harrison on this video. 'Twas a magical process, and I hope you enjoy.